Dynamic-Ceramic had been trading very successfully for many years when they contacted us, as they felt their brand was in need of a refresh. The original brief was to take the existing logo design and gently move it in a slightly different direction, rather than a total departure from the original logo. We created a wide variety of logo designs ranging from subtle changes through to brand new concepts, overwhelmingly deciding on one of the brand new concepts. The new logo design features a very simple yet powerful icon of two chain links, created from the company’s initials – representative of the strength inherent to their ceramic products and their partnerships with their customers. The icon is matched with strong, clean typography and complemented with contrasting blues. 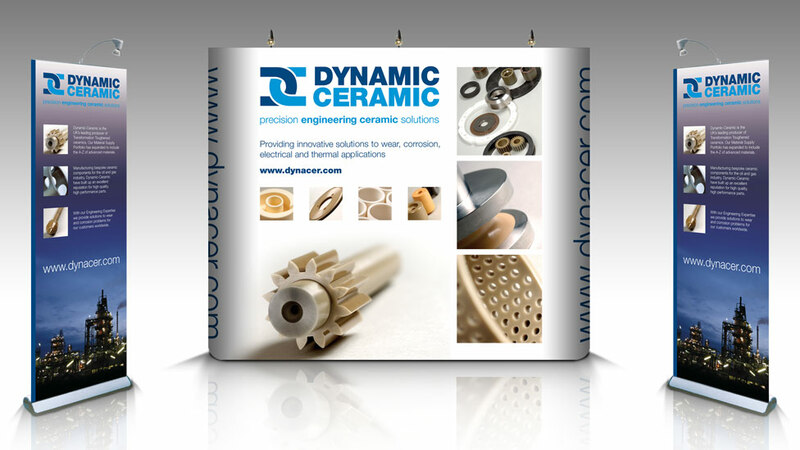 The final addition to the new logo design was the introduction of a strapline summing up what Dynamic-Ceramic stand for. The new logo was then used on a variety of collateral, such as a brochure, stationery and exhibition system.